Dane Buk, Terra Firma Organics Owner, displays the resulting high-quality Ecogro compost after months of diligent processing. 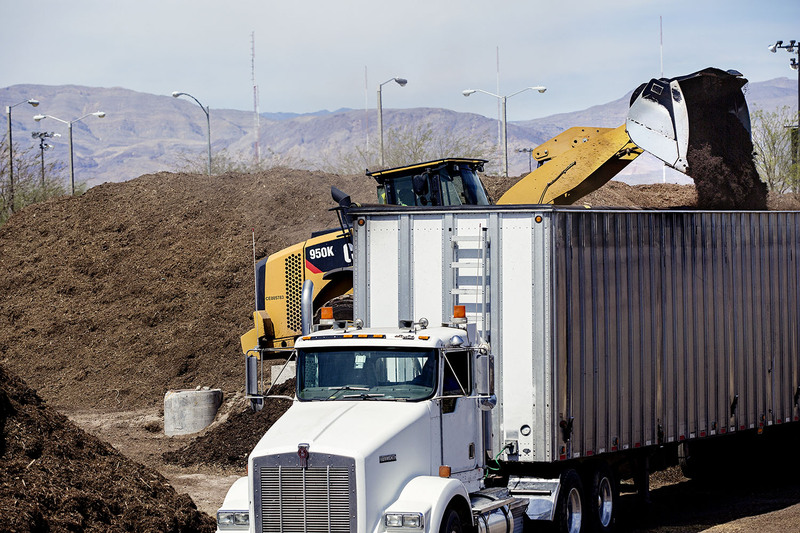 Terra Firma Organics is the only permitted compost facility in Las Vegas, Nevada. 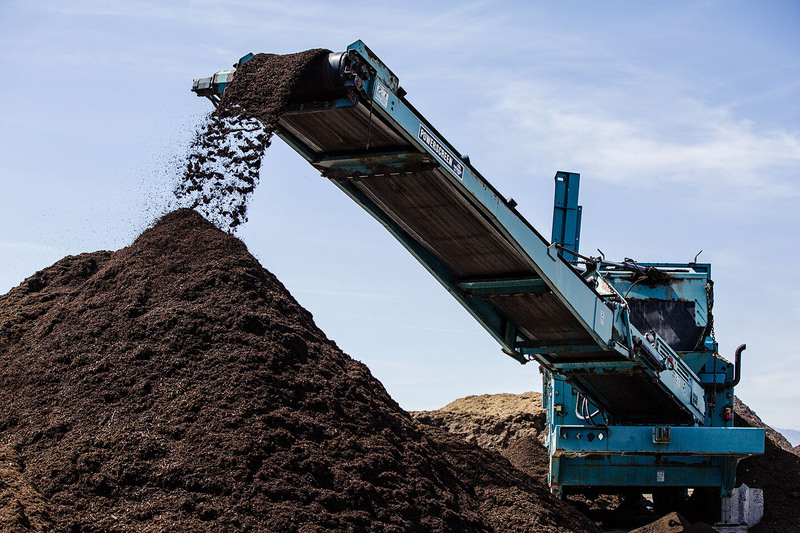 Their TruCycle © compost process turns your green waste into premium Ecogro compost, Mojave Organic Mulch, and other natural products. All photos courtesy of Lindsay Linton, Linton Productions. 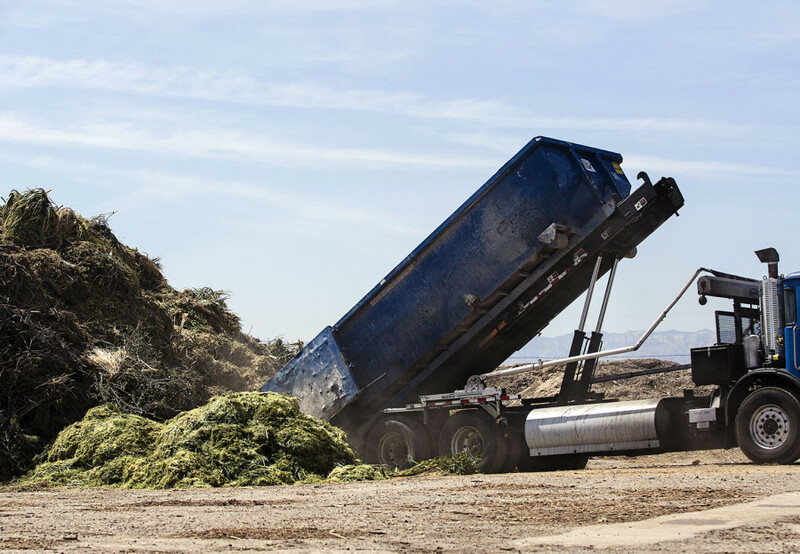 Terra Firma Organics receiving palm, tree, shrubbery, and other green waste at their Las Vegas facility. Terra Firma provides expertise and knowledge in all aspects of the recycling business. They hold a relentless passion for preserving the health and vitality of our environment by recycling, reusing, and repurposing organic waste into innovative and useful products. Screening the final Ecogro premium compost product. 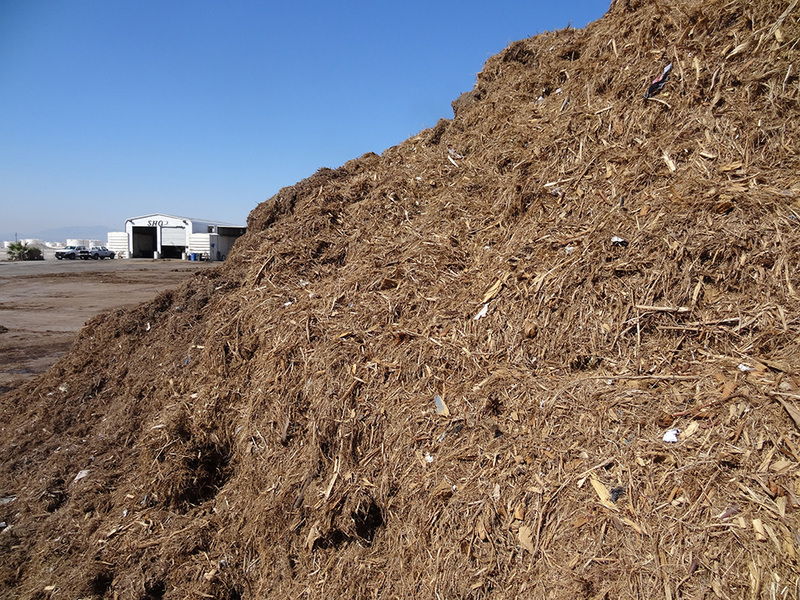 In Las Vegas their services include yard waste, brush/limbs, sod, logs/stumps, clean dimensional wood, equestrian manure/bedding, select food waste, & other select organic materials. For prices see contact information at bottom. I recently sat down with the owner, Dane Buk, and some their Las Vegas team, including Operations Manager Gilbert Gutierrez and Sustainable Programs Manager Randy Williams. All these professionals are seriously committed to compost. 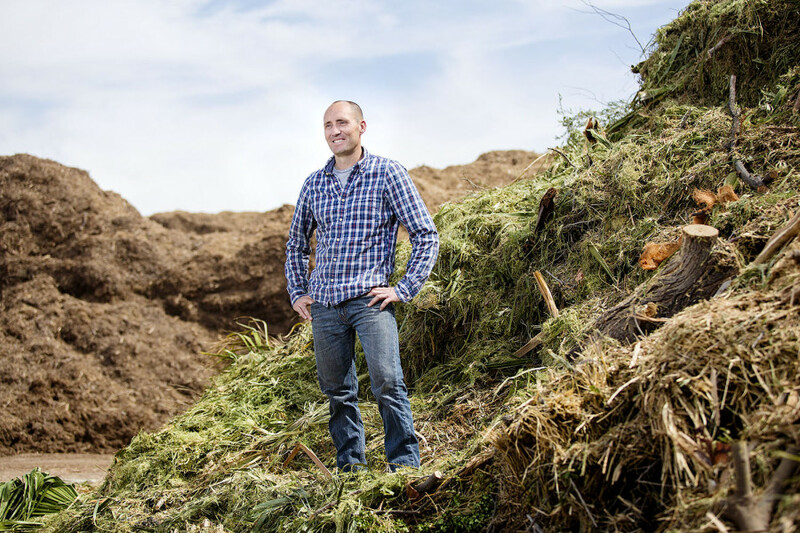 Dane especially carries a strong vision for a sustainable future, with community and composting playing harmonious, key roles. Dane holds over 20 years experience in the industry, and pairs this with a keen sense of green innovation. To boot, they are all extremely meticulous and perfectionistic about creating clean, useful, nutrient-rich, high-quality compost. Finished Ecogro compost loaded for distribution in landscape applications. Terra Firma’s first home and headquarters is in Jackson, Wyoming. 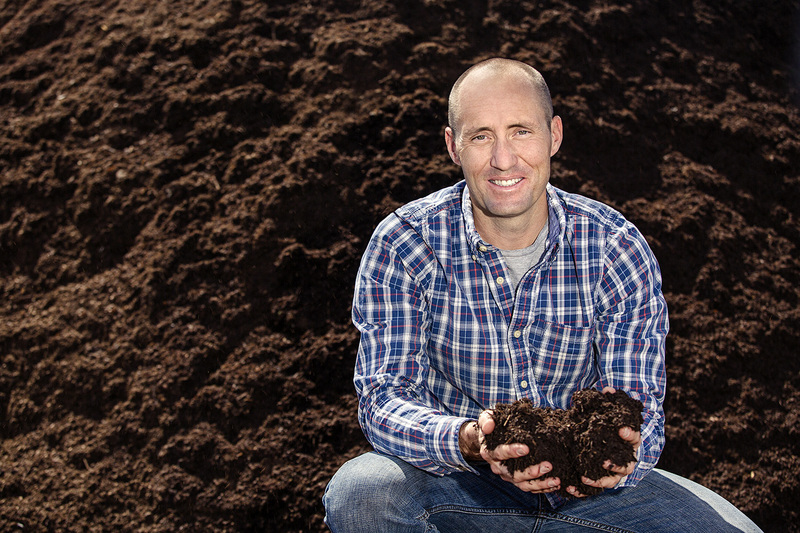 They save thousands of tons of organic waste from the Jackson Hole landfill every year. What would have been useless rotting waste — generating harmful methane gas, eventually polluting land and water — is transformed into useful products that improve the environment. We’re blessed to have them in the backyard of Las Vegas, slowly but surely helping our city and community become more sustainable and environmental. They support science in continually learning about the role of organics in our desert biome, related K-12 and adult lay and professional level education, and public partnering opportunities such as community gardens. Dane Buk with diverted green waste ready to proceed through the compost process. Las Vegas Mayor Carolyn Goodman has spearheaded several sustainability projects in the city, and last year announced our major shift to 100% renewable resources. The organization Green Chips highlights the many sustainable efforts of Las Vegas and Southern Nevada. Terra Firma Organics and its Nevada team are helping Las Vegas harness the power of its organic waste, meanwhile ensuring greener days ahead. A few years ago I covered my yard with shredded bark ground cover. It smelled good and looked great. I need to update it but can’t find it. Can you help?